The Florida Times-Union is located at 1 Riverside Avenue. The newsroom staff at The Florida Times-Union has voted to form a union. Times-Union sports reporter Phillip Heilman announced the union in a tweet shortly after 3:30 p.m., after the voting was scheduled to close. The Times-Union has a union. The vote was 18 to 9, according to Times-Union reporter Tessa Duvall. Although, she also stated five votes were contested and were not counted because they did not change the outcome. “There are some positons where it’s not quite clear if that person is considered management or not and so those votes can still be cast but they are essentially set aside,” said Duvall, adding it will be determined later if they will be able to be a part of the bargaining unit. The staff members voted to join the News Guild, which is part of the Communications Workers of America. "One of the first things we'll have to do now that we are actually a union, we'll survey our members. So we want to see what issues people are really interested in. What are the things that when it's time to start bargaining that we want to focus on," said Duvall. Despite forming a union, Duvall said it wasn't about issues with local management. "Our local management, they are a dream to work for. This has never been about our editor or our publisher. It's really been about protecting the workers of this newsroom." She concluded by saying, "I am so proud of my newsroom today." “This vote was about continuing strong local journalism by considering the needs and goals of the people who create it," said Steve Patterson, a Times-Union reporter since 1987 and member of the staff's union-organizing committee. The Times-Union, which is a WJCT News partner, was purchased by Gatehouse Media last year from Morris Communications, owned by the Morris family of Augusta, Ga. I appreciate the commitment our newsroom has to serving this community, which is my hometown, with important journalism. I know they believe this move will help them do that even better. I respect their decision to unionize. Journalists are traditionally more than colleagues. They are friends and family. At the Times-Union, that's as strong today as ever. I'm proud to serve as editor for the journalists in this newsroom. We will continue to to move forward together as a strong team. Shortly after the Times-Union was sold, it was announced that the local printing press operation would be shut down, resulting in approximately 50 employees' being displaced. Then in January, the newspaper announced it would reduce its non-production workforce by about 10 percent, or about two dozen positions. Among the issues cited by NewsGuild-CWA is that newsroom employees still haven't recovered from 2009 pay cuts of up to 10 percent. "Stagnant and low wages for many employees have been a big concern for Times-Union employees under GateHouse and Morris Communications," the union wrote in a news release. Before several rounds of layoffs, the Times-Union newsroom had more than 100 employees. As of last month, it had fewer than 40. Printing of the Times-Union was moved to the facilities of sister newspapers in Daytona Beach and Gainesville. The Times-Union's daily circulation is 44,750 and its Sunday circulation is 68,600, according to the NewsGuild-CWA. The newspaper's website, jacksonville.com, receives about 380,000 daily page views. Bill Bortzfield can be reached at bbortzfield@wjct.org, 904-358-6349 or on Twitter at @BortzInJax. 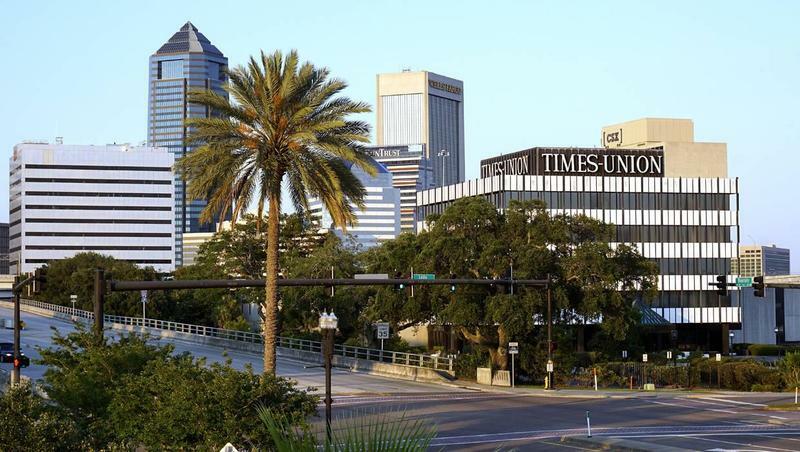 A majority of journalists and other staffers at The Florida Times-Union, Jacksonville’s newspaper of record and a WJCT news partner, has signaled an intent to unionize. The Florida Times-Union has announced it will outsource its newspaper printing beginning in February, which will displace approximately 50 employees. 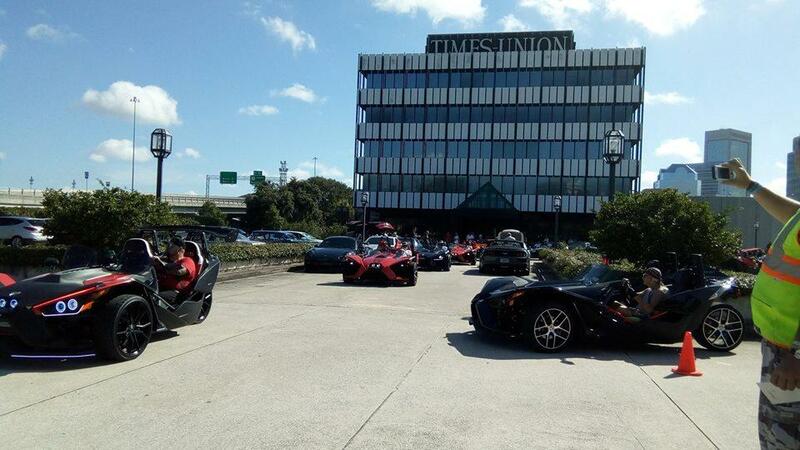 There were more layoffs Thursday at The Florida Times-Union.